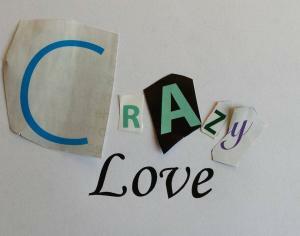 Coming to The Mole Hill Theatre: It's "Crazy Love!" ALSTEAD, NEW HAMPSHIRE - On Saturday, September 8, kick off the fall season at The Mole Hill with "Crazy Love"....a common phenomenon, an old Van song, and a great dance band! Crazy Love plays new and old music that you know but won't hear from other bands...Fun and Funky.....Stevie Wonder, Talking Heads, Roberta Flack, Paul Simon, Maroon 5, 311. Terry Landis sings like an angel. Owen Landis is a cat on the kit. Bruce Elliot plays bass and Ken Hamshaw guitar. The band also now features Allie McGahie on vocals. This is an all ages, "B.Y.O.B. 'n' snacks" event, (no hard liquor) the show starts at 7:00 p.m. and there is a $12 cover at the door. The Mole Hill Theatre is located at 789 Gilsum Mine Road in scenic Alstead, New Hampshire. For more information please call 603~352~2585.